Jokowi Dan Basuki – “What Makes You Beautiful” by One Direction (PARODY) is video about the living conditions of Jakarta. It was produced by youtube sensations Cameo Projects encompassing on the major key election issues. Having viewed the video I quickly gain an aspect of a culture. Though, not in a positive way, it was enough to grasp the underlying issues that Indonesia is facing. The issues that are apparent surrounds transport, living conditions, corruption and bureaucracy. The choice of music as with the title “What Makes You Beautiful” is ironic. There is a play on word presented in a challenging way. I question myself why was this chosen? 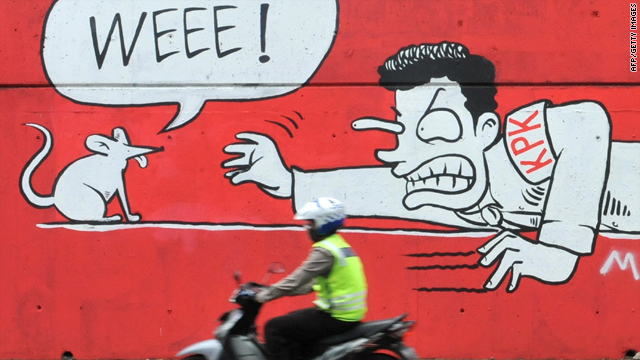 Was this seen as the only effective way to exaggerate Indonesian politics? Or is it perhaps an ideal “mockumentary” containing subliminal messages implying the possibilities in making Indonesia beautiful (politically speaking) ? A beacon of hope was later shed in the video when the collectives desired change by putting emphasis for “Jokowi and Basuki” to come and save the day. Interestingly enough, the video became a transparent campaign for change making politician Joko Widodo. As corruption was heavily referenced in the video, this was something I wanted to explore. An in-depth analysis of the main causes of corruption might be required to understand why corruption remains such a large problem in spite of several reforms (e.g.decentralisation, establishment of an anti-corruption agency, etc) and recent efforts to curb it. Several factors, ranging from structural factors, such as income levels, and inequality, to a weak judiciary seem to have a strong correlation with corruption (Martini 2012). Cochrane (2013) states Indonesia’s campaign finance laws have not kept up with changes after taking its’ first step towards democracy. Political parties are increasingly financing their operations with the same shady practices that symbolised the era of President Suharto who’s tenure lasted from 1967-1995. “That’s not a secret anymore,” said T. Mulya Lubis, chairman of the executive board of Transparency International Indonesia, which monitors political corruption. “It’s public knowledge. This is the biggest kind of corruption now.” (Cochrane 2013). 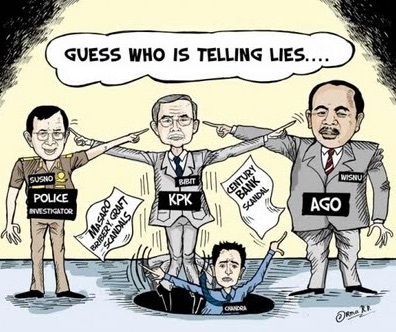 According to a 2013 survey by Transparency International, Indonesia ranked 114th out of 177 countries, with the nation’s Parliament, its police and the judiciary considered the least trustworthy public institutions (The Editorial Board 2013). In present, Jokowi’s successful election meant promises needed to continue Indonesia’s hard-won post-Suharto reforms – especially the fight against Indonesia’s notorious endemic corruption. However, Jokowi had not lived up to these high expectations after failing to defend Indonesia’s Anti-Corruption Commission (KPK), who is currently under concerted attack from powerful figures it has investigated.